It's no secret that I am a fan of pink. I used to shy away from the color but I am finding that I am purchasing more shades of pink then ever before. 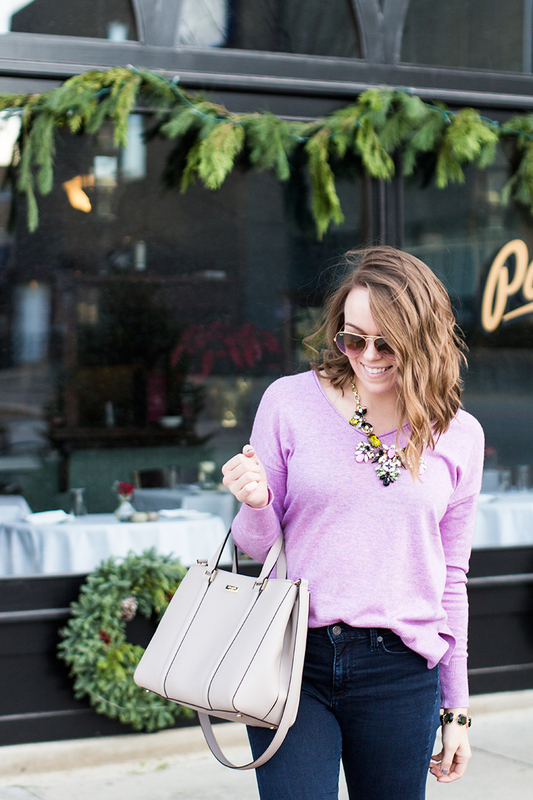 From sweaters to pillows to holiday decor, I just can't get enough. 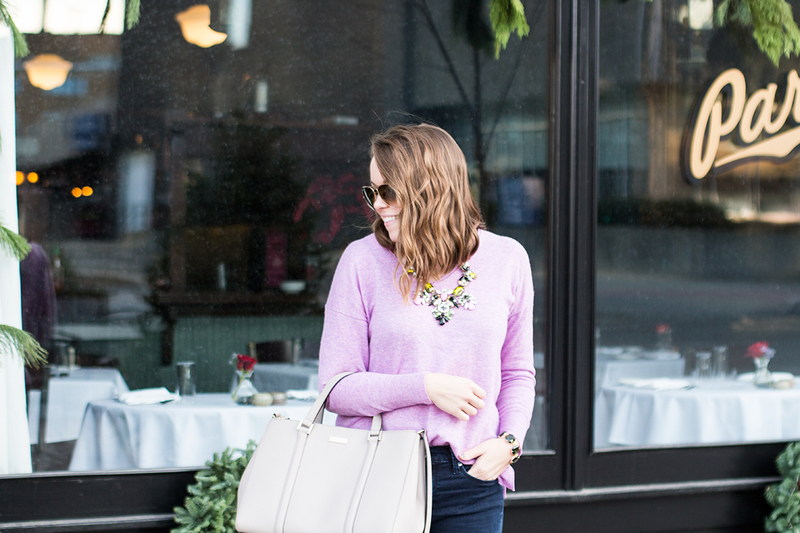 This J.Crew sweater (not online yet) is no exception! While it definitely has more purple in it, it definitely resembles some pink pieces in my closet. I'm thinking a trip back to the store to stock up on more colors - it's a great staple for fall and winter. Not to mention, only $59.90 with an additional 30-40% off right now. You can most likely find it at a store near you, but I've linked others below that I love as well, that come in shades of pink :). 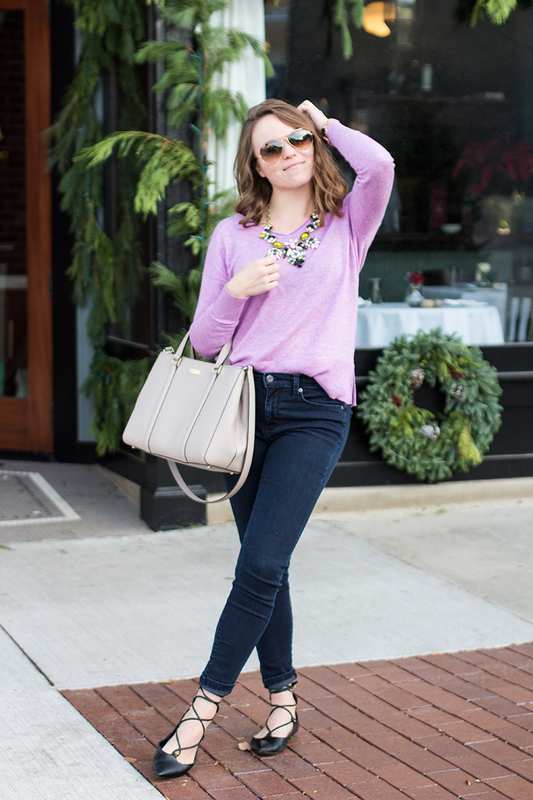 One of my go-to's for fall and winter is a sweater and chunky, statement necklace. 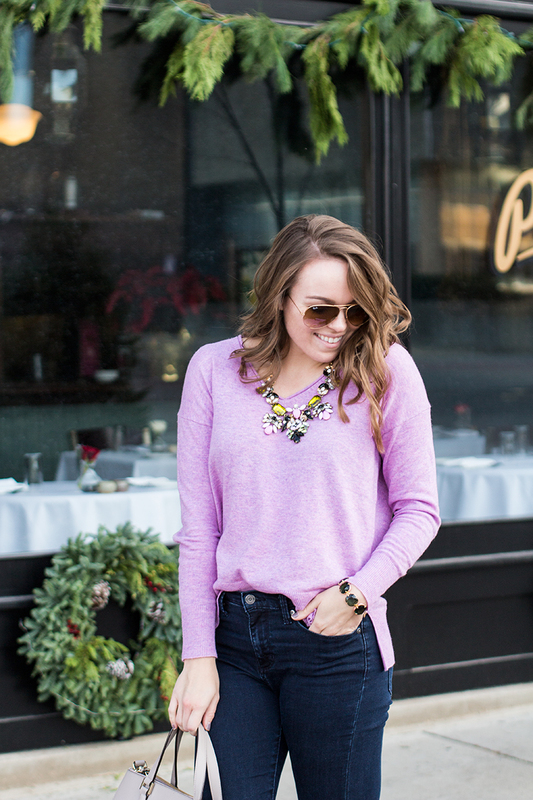 I found this necklace at a local boutique in Sioux Falls and loved the mix of colors! I'm not big into green but it complimented the black and pink well. If you are looking for other statement necklaces some of my favorite places to find them are Baublebar, Nordstrom Rack, and boutiques (such as this one!). I will be decorating my little space for Christmas this week but I'm in the need of some new holiday decor. Where did you purchase your decor this year? Target is one of my go-to's but I am always open to new and more suggestions. Share below!